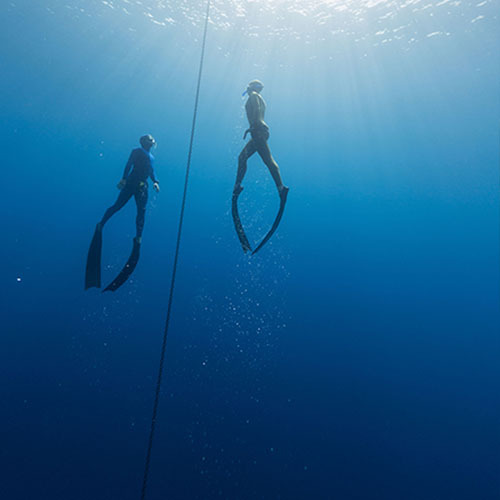 Freediving is a sport which consists in holding your breath while submerging and enjoying the sense of freedom carrying from scuba diving bottles. 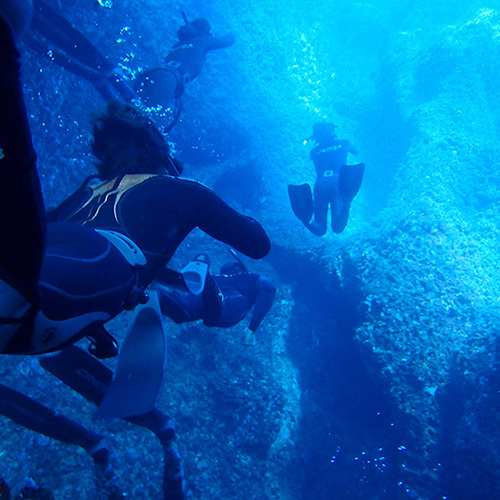 Freediving in Scorpora is practised with a safety protocol. We work with www.institutoeuropeodeapnea,com safety standards, the most conservative standards available. There are 3 main complementary freediving categories: deep down diving in the sea, swimming underwater long distances in a swimming-pool, and holding your breath for a long periods on the surface. Level 1 objectives: To dive down to -15m. deep, to a 30m distance, remain immobile holding your breath for 2 minutes. 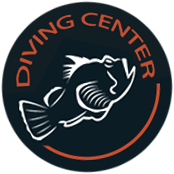 Level 2 objectives: To dive down to -25m. deep, to a 55m distance, remain immobile holding your breath for 3.30 minutes. Level 3 objectives: To dive down to -40m. deep, to a 80m distance, remain immobile holding your breath for 4.30 minutes. 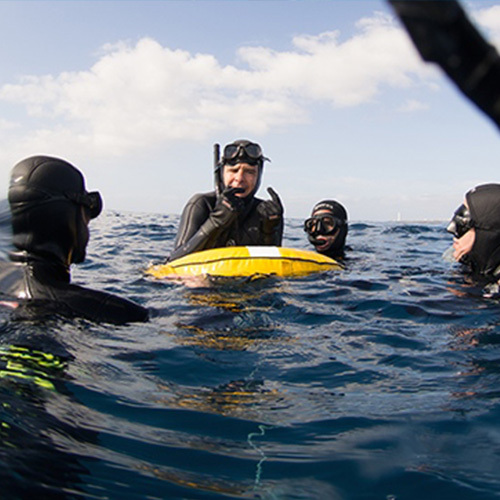 Freediving Instructor Course objectives: Repetition of level 3 objectives at your own pace and learn pedagogy, infrastructures, organisation, and freediving course management. Differences between freediving and scuba diving: The main difference is that freediving is a sport. If you enjoy diving and you are looking for a water sport to keep fit, freediving is your ideal sport. Advantages with scuba diving: Sea animals come closer due to lack of noise. Light and free from diving equipment, you only need your mask. Disadvantages with scuba diving: Scuba diving permits the diver to remain underwater longer, and can wait to take photos just at the right moment. When freediving, these small details may be lost. Equal at: It is a pair activity. Decompression stops are needed at a great depth, or after too much freediving without having rested.